Is Deep Brain Stimulation Effective for Alzheimer's? "I would recommend Primrose because of the wonderful support and open communication between the families and the staff, as well as the quality of care our loved one receives everyday. There is no better place than this community. We have learned to call it home." "We would recommend Primrose because of the good, compassionate, trained, and experienced staff. And because they are the specialists in memory care needs." "Its nice to know that there are people who take such pleasure in doing special things and making others feel good. Thank you for the tenderness, compassion, and thoughtfulness that you continue to show us and our father. We are at peace to know that he is getting loving care at Primrose." "Thank you and the staff for the excellent care our mother received in a loving environment. I often think of all of the wonderful people I met at Primrose who made an impact on my life and mother’s life! We are eternally grateful there is such a place as Primrose." "Our experience with our mother’s passing this past month made our family realize you are much more than employees. You are not just people doing their job, you are the family to your residents, and you love them, care for them, joke and play with them, feed and bathe them with the same love and compassion as if they were your own parents. We could not have asked for better people to be with our mother during her last years. You are angels of God spreading love in our world!" Is Deep Brain Stimulation An Effective Treatment for Alzheimer’s? Deep brain stimulation has been used to treat the tremors, walking problems and rigidity that can be symptoms of advanced Parkinson’s disease. An exciting new study is giving hope that this treatment can safely give relief to individuals with Alzheimer’s as well. The ADvanance trial is a Phase 2 study testing the safety of deep brain stimulation (DBS) on people who have Alzheimer’s Disease. 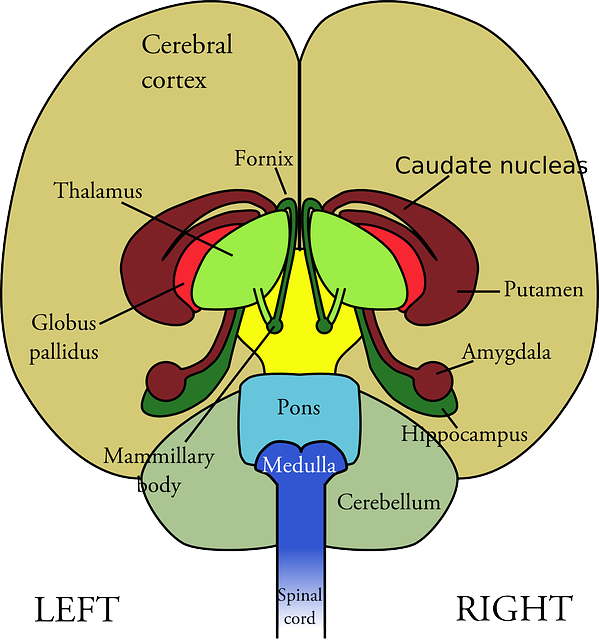 In the study, a specific brain structure called the fornix involved in memory were targeted. Forty-two patients with mild Alzheimer’s had DBS devices implanted. The device delivers small electrical impulses that can regulate abnormal activity in that area of the brain. The study showed that the procedure was safe enough to be performed on humans. The devices were implanted accurately in all patients. Roughly 11% suffered from complications that included headaches and infections, which is consistent with the current figures for DBS use. In previous trials on rats, individuals who were stimulated with DBS devices had significant improvements in memory tasks. And, new neurons formed in the brain, indicating that DBS can be used to create new brain cells. This can help improve memory retention in people with dementia. At this time, DBS is only approved for use on people who have Parkinson’s disease. However, the results of studies on the procedure suggest that the treatment can be helpful for people who have Alzheimer’s, as well as those who suffer from maladies such as anxiety, depression, epilepsy and bipolar disorder. The ideas behind deep brain stimulation are not new. In 1938, scientists first tried electroshock to treat severe psychosis. By 1950, brain stimulation was being used for pain relief. Neurosurgeon Natalia Petrovna Bekthereva first used implanted electrodes for chronic depth stimulation in 1963 and successfully treated motor disorders. By the late 1960s, the surgery was being used to treat symptoms of Parkinson’s that did not respond to medication. The procedure is not completely without risks. Some people who have been treated with DBS experienced side effects that have included apathy, compulsive gambling, hallucinations, hyper-sexuality and depression. However, these side effects are considered temporary and reversible. In some cases, they occur because electrodes have become displaced during surgery. A CT scan can identify the error and help surgeons correct it. The use of DBS to treat Alzheimer’s is still some time away. However, the results of current studies are positive and can give hope to people with mild Alzheimer’s and their loved ones.